WM-15 Features: -Easy to clean.-Waffle stick maker.-Nonstick baking plates ensure easy food removal.-Power and ready indicator lights.-Convenient latching handle. Includes: -Includes measuring cup and lifting fork. Color/Finish: -Color: Orange. 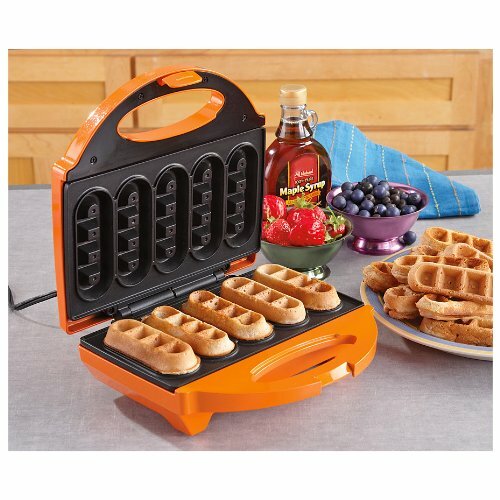 Specifications: -Makes 5 waffle sticks in minutes. Dimensions: -Overall dimensions: 10.5" H x 9" W x 12" D. Warranty: -Manufacturer provides 1 year limited warranty.